During 2011 we experienced a newsworthy ice storm ihere in Illinois and the surrounding area while other parts of the country saw record snow falls. While I was looking for weather related resources, I discovered that in the early days of 1912 a horrific cold wave crossed the Midwest and Mid-Atlantic areas. Doing some additional research I learned two things that could be adapted to a classroom activity. These are simply "jumping off points", but I hope they encourage exploration. #1 How newspapers from different regions reported on the frigid weather occuring in the Midwest and Mid-Atlantic areas. A search within Chronicling America for January 6, 1912 resulted in multiple matches. Below are images of front pages for some of those publications. 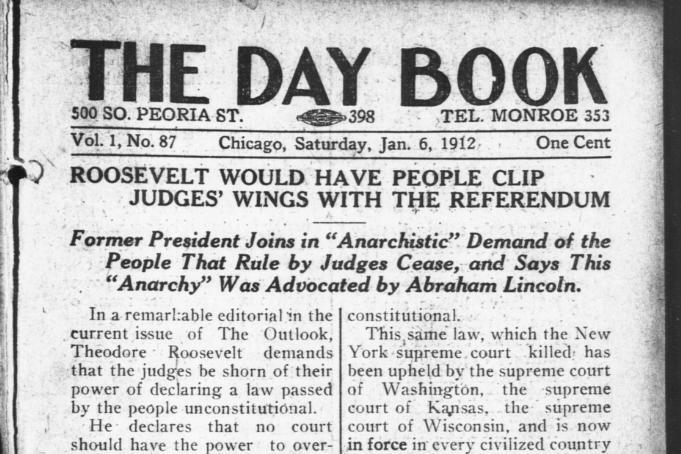 The Day Book was a Chicago daily publication from 1911-1917. While some other newspapers featured the story about the weather on the front page, the Day Book featured other content until the Weather Forecast on page six that began several pages of news relative to the cold temperatures and the impact it had. 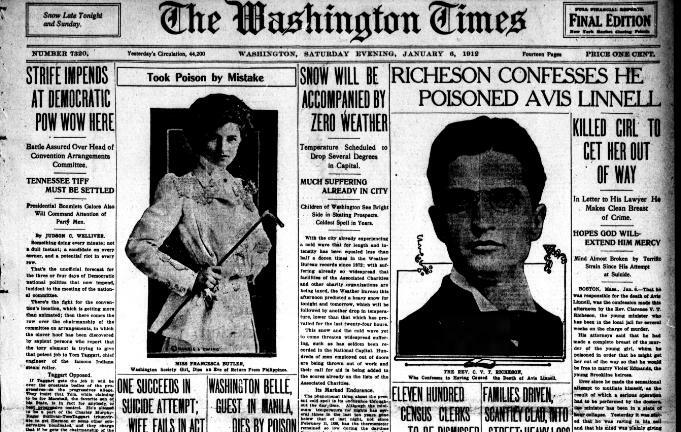 The Washington Times informed readers with the headline SNOW WILL BE ACCOMPANIED BY ZERO WEATHER. 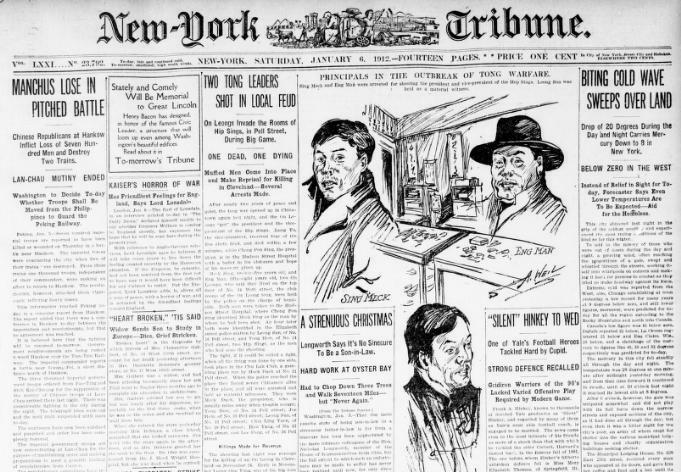 Further north, the New-York Tribune exclaimed that BITING COLD WAVE SWEEPS OVER LAND. 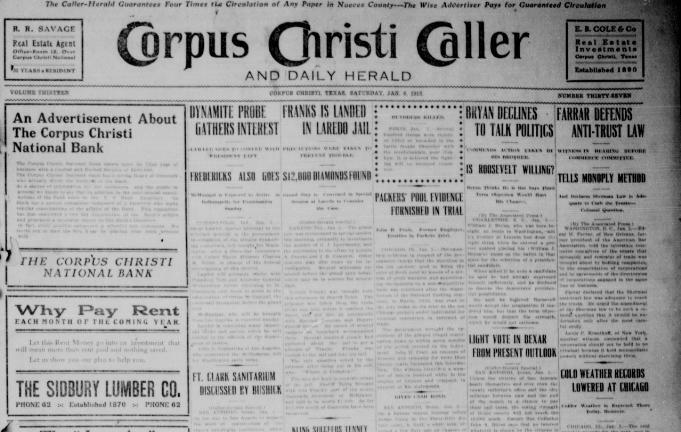 While readers of The Corpus Christi Caller from Texas enjoyed warmer temperatures, the front page announced COLD WEATHER RECORDS LOWERED AT CHICAGO. 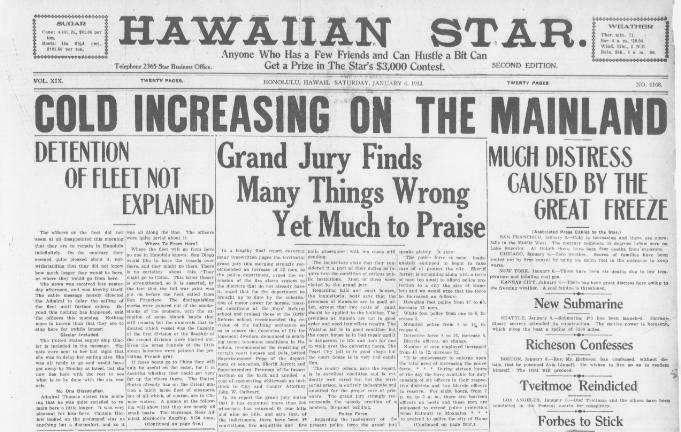 Even residents of Hawaii were met with a large headline of the Hawaiian Star reading COLD INCREASING ON THE MAINLAND and expressing concern about "much distress caused by the great freeze". #2 Looking at how communities reacted to the cold and the impact on citizens and those offering support. While the front page of the Chicago based Day Book made little mention of the cold ravaging the city, page seven is titled RELIEF DEMANDS, DUE TO THE COLD, TOO HEAVY FOR THE CHARITABLE INSTTITUTIONS TO HANDLE. THe Washington Times on January 7th reported CHARITY WORKERS BUSY WITH POOR. We can compare the information presented on the communities in which the publication is based and new shared about citizens in other papers. Additionally, we can compare the needs, losses and responses between 1912 and recent events. If internet access is difficult or time will not permit student searches, you can draw from the PDF files available on Chronicling America and compile select pages into a single file which students can highlight and add notes. PDF file of select pages from the Day Book, January 06, 1912.